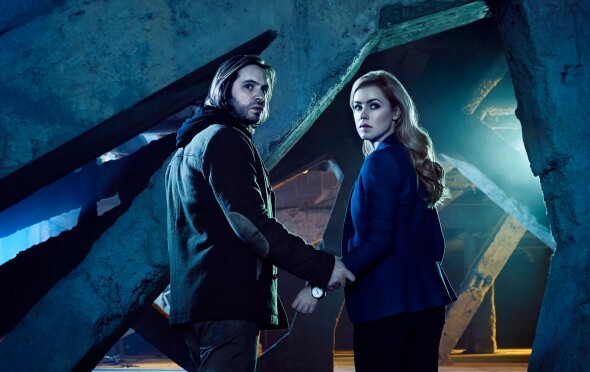 Syfy has released some new teaser trailers for season two of their series 12 Monkeys. Based off Terry Gilliam’s 1995 film, 12 Monkeys is set in the year 2043, after a virus has taken out much of the world’s population. The series stars Aaron Stanford, Amanda Schull, Emily Hampshire, Barbara Sukowa, Kirk Acevedo, Noah Bean, and Tom Noonan. The series was renewed for a second season in March, even though the first season delivered subpart ratings. Season two of 12 Monkeys is set to premiere in April. What do you think? Do you watch 12 Monkeys? How does it hold up to the film? Will you tune in for season two? I really liked the 12 monkeys, I think it will get even better this season.